The Tohoku region comprises the northeastern third of Japan's main island. While it may be best known for the snows of its frosty winters, from the beauty of its lakes to the stunning action of its many festivals, there's plenty of heat to be found in the region's rollicking summers! In 2017, All About Japan sent a team up to Tohoku to capture some of that summer energy. This wasn't our first trip to the region, of course, and this time we decided to focus on summer festivals and the region's pristine water—though the clouds rolling in and out made it tricky at times, and we had staff on standby checking the best spots for shooting each morning. We captured waterscapes from Fukushima's Benten-numa (弁天沼) to Miyagi's Okama (御釜) crater lake, as well as all three of Tohoku's Three Great Summer Festivals—the Aomori Nebuta Festival (青森ねぶた祭り・Aomori Nebuta Matsuri), the Akita Kanto Festival (秋田竿燈まつり・Akita Kanto Matsuri) and the Sendai Tanabata Festival (仙台七夕まつり・Sendai Tanabata Matsuri)—as well as a few other key contenders, like the Yamagata Hanagasa Festival (山形花笠まつり・Yamagata Hanagasa Matsuri), the Yamagata Shinjo Festival (新庄まつり・Shinjo Matsuri) and the Fukushima Waraji Festival (わらじまつり・Waraji Matsuri), not to mention the samurai-styled Soma-Nomaoi (相馬野馬追). Locals would sometimes come by and have a chat as we readied our drone for aerial shots. When we told them we were collecting content to highlight the Tohoku region's six prefectures, they’d tell us all about their favorite features of the area. There was a warmth to our summer, both in the Tohoku air and in the people we met there. Take a look at some of our favorite selections below! Held from August 3 to 6 each year, the Akita Kanto Festival (秋田竿燈まつり・Akita Kanto Matsuri) is counted among the Three Great Summer Festivals of Tohoku. Kanto literally means "rod lantern," and the festival sees participants carefully balance giant poles up to 12 meters (40 ft) long and weighing as much as 50 kilograms (110 lbs), each festooned with as many as 46 paper lanterns! Time has worked its wonders on the great volcanic rocks at Jodogahama (浄土が浜), wearing them down until they shine white in the summer sun. Topped with spindly conifers, they look almost like a sumi-e ink painting. It's no wonder this is literally named "The Beach of the Pure Land." The stark contrast of green pine trees, white rocks, and the vivid blue sea is surely worth witnessing. Tamasudare Falls (玉簾の滝・Tamasudare no Taki) is the largest waterfall in Yamagata Prefecture. 63 meters (206 ft) high, the falls plummet over rock formations created by the volcanic activity of nearby Mount Chokai (鳥海山・Chokai-san). Summer is a perfect time to visit, as the area is illuminated at night from August 11 to 18 to mark the Obon season—though if you'd like to come earlier in the year, there's also illumination during the Golden Week holiday from April 28 to May 5! Futakuchi Gorge (二口峡谷・Futakuchi Keikoku) is found in the mountains on the western edge of Miyagi Prefecture. It's located in the Akiu hot spring region, which has a history stretching all the way back to the sixth century. There are a number of waterfalls in the area, including the 55-meter-high (180 ft) Akiu Otaki Falls (秋保大滝). The Soma-Nomaoi (相馬野馬追) grew out of equestrian exercises held during the Kamakura Period (1185-1333). 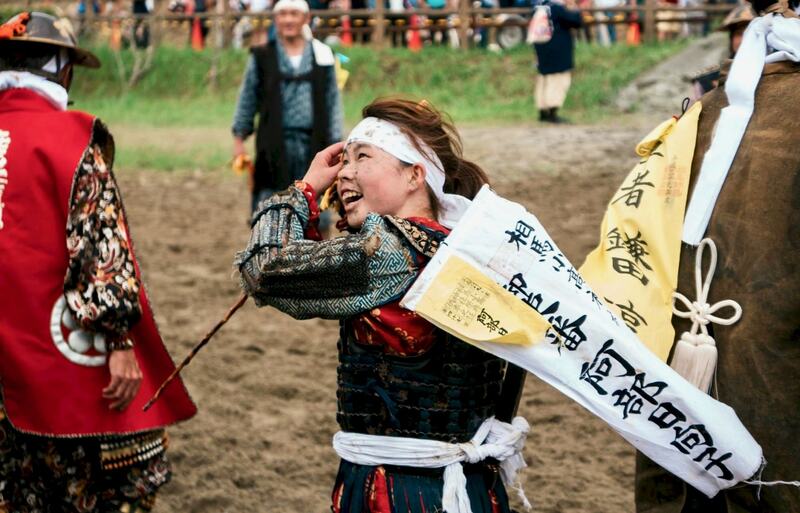 Every year, volunteers don period armor, mount horses and charge through competitive events just like samurai of yore. The festival starts on the last Saturday of July and ends the following Monday, with the biggest events taking place on the Sunday. Not hot enough for you? There are plenty of other things to discover in Tohoku's soothing summers. Take a look below!